I have illustrated a limited edition cycling print for the Bike for Bailey charity. 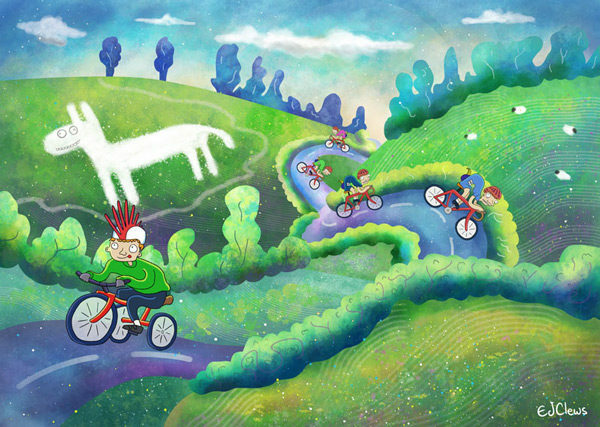 It features the White Horse near Kilburn in North Yorkshire and young Bailey ripping past it on his adapted trike. It’s £25 plus postage for an A2 print.